Giving in to the GOP on the tax cuts was the breaking point for the American public. 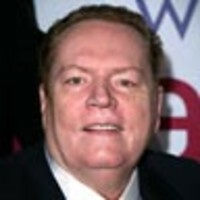 Larry Flynt pens an open letter to the president. The people who supported you in 2008 wanted someone who would fight for them. They wanted real health-care reform, real banking reform, an end to the expensive wars we’re waging and the restoration of our civil liberties. On issue after issue you’ve caved. Renewing the Bush tax cuts for the wealthy is the final straw. This was a fight you could have won without suffering any collateral damage—and you didn’t even throw a punch. I was delighted when you were elected. Now, like many other Americans, all I see is an ineffectual wimp. If you want a second term in office, you must win back the respect of the American people. From my vantage point it’s hard to see how you can do that.